1. The earphone supports smart APP (IOS Android) with double systems : steps,running distance, burn calories and recording 30 days exercise data. Well-designed for your sports and health. 2. Snail bionic design, ergonomic structure, comfortable to wear. Light and durable, easy to carry, close to your ear type, suitable for professional running or other strong sports,even not easy to fall. 3. Earphone connection, using the most advanced memory wire, linear automatic admission, not easy to be deformed. With accessary mini storage earphone case, easy to carry. 4. Speaker using Graphene technology, HIFI-quality sound experience. 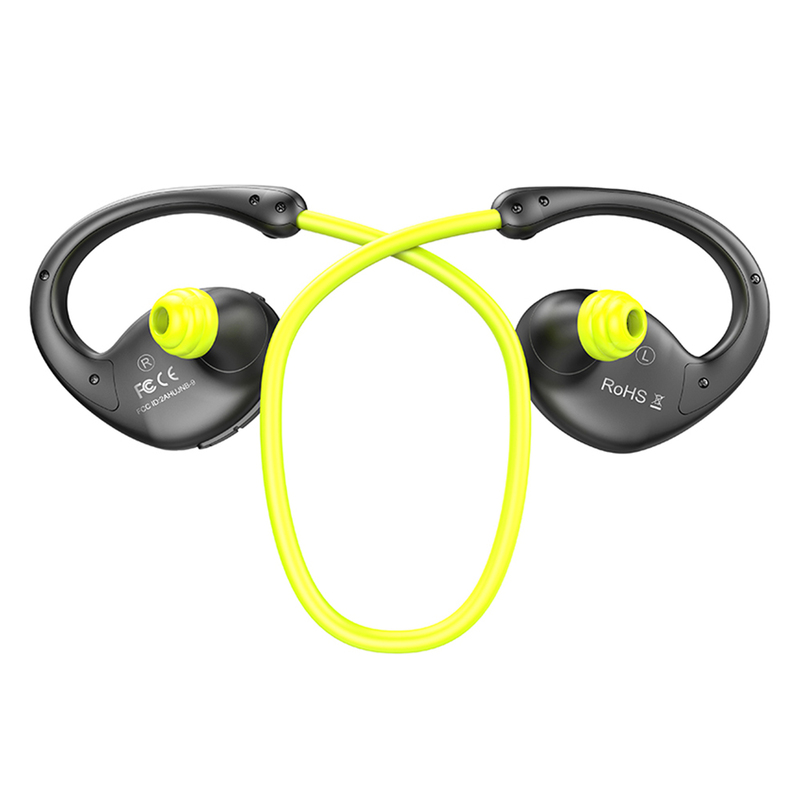 Natural surging bass rhythm is more clear and its in-ear design makes your sports and exercises more energetic and powerful. 5. Using advanced Bluetooth V4.0 technology, supporting next and previous song, volume up and down, pause and play, and microphone phone function, allow you to be able to change the calling and music easily, control music more freely and more conveniently when running. 6.With nano protective lyer on the circuit boards, New Bee latest sweatproof technology ,greatly improve the sweatproof level. ​About New Bee	New Bee is a trade mark registered in US and EU. We are specialized in research and development, design, manufacture, sales Bluetooth Headphones and Bluetooth Speakers and Accessories. We aim to provide the high quality real convenient products to make our life easier, enjoyable and convenience. And this is official New Bee shop in Aliexpress, all of our products in our shop are 100% original, we will check the goods carefully before shipping and we try our best to make sure the items are good. About Delivery	We choose Aliexpress official logistics “Aliexpress standard shipping”, it is fast, safe and trustable. When will you ship out my order? Your order will be shipped out within 1 to 2 days after your payment is verified by Aliexpress. How long can I receive my order? Free shipping usually takes 15 to 60 days, and it takes even longer for some remote country, such as Brazil, Chile and so on, maybe need 90 days. About Feedback	We depend on your satisfaction to success, therefore your feedback is definitely very importand to us. If you enjoy our products after use, Please give us a positive feedback with words and pictures, we also will leave a positive review for you as well. If you aren’t satisfied with our products, please contact with us prior to leave negative feedback and dispute. We will try our best to solve the problem asap. Thank you very much! Hope you have a good shopping experience! About Service Time	Beijing Time: Monday to Saturday9:00 to 12:00 AM 14:00 to 18:00 PM	Due to the time lag, did not reply to you right now, please forgive us!